Yossi Milo Gallery is pleased to announce an exhibition of photographs by French artist Mohamed Bourouissa. The exhibition will open on April 22, and close on June 19, with a reception for the artist on Thursday, April 22, from 6:00 to 8:00 pm. This will be the artist’s first solo exhibition in the United States. Mohamed Bourouissa’s photographs from the series Périphéries are staged depictions of the tensions and issues affecting daily life for young people living in the suburbs of France. The artist orchestrates his photographs in carefully scouted locations, such as apartment building rooftops or subway stations, with specially selected models and strategically placed lighting. The imagined scenarios explore the social and economic issues of the area in which the artist grew up, while questioning stereotypes about life in the suburban territories of Paris and other cities in France. The images combine documentary-style journalistic content with formal compositions influenced by traditional paintings, such as those by Delacroix and Gericault. Though the scenes are planned in advance, the artist allows the interplay of gazes and gestures to occur spontaneously, infusing the images with emotional friction and the threat of violence. 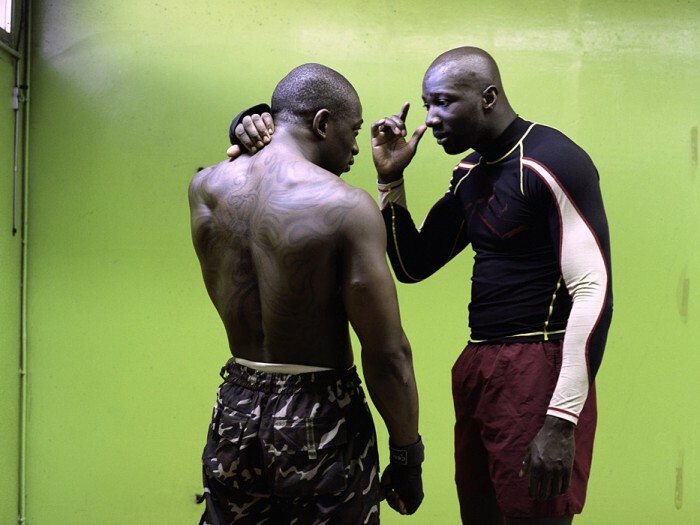 Mohamed Bourouissa’s photographs were included in the New Museum of Contemporary Art’s exhibition Younger than Jesus in 2009. His work is included in the collections of the Fonds national d’art contemporain and the Maison Européenne de la Photographie in Paris. Mr. Bourouissa was born in 1978 in Bilda, Algeria, and attended the Ecole Nationale Supérieure des Arts Décoritifs, Paris, and the Sorbonne, Paris. He currently lives and works in Paris.